The heated pool lets you enjoy wooded views all year long. After an adventure-filled day of zooming down the mountain your tired muscles will thank you. Gather the whole crew to tell tales of the day, or just to chill out with a movie. Full kitchens let you wow your crew, the kids will be begging for seconds. You only have to drive 3 minutes to hit the slopes at Snowmass Ski Resort. The spectacular mountain views, heated pool and hot tubs at the resort provide the perfect backdrop for your romantic getaway. The resort's outdoor heated pool is open year-round. Soothe your sore muscles with a relaxing soak in 1 of the resort's 2 outdoor hot tubs. Lace up your shoes, Highline Trail is just a 7 minute drive from the resort. Brush up on your game at Snowmass Club Golf Course, it's just an 8 minute drive from the resort. Enjoy the comforts of home with the slopeside locale of a ski lodge when you stay at the Aspenwood. Situated just a little ways up the Fanny Hill run, at the Aspenwood you’ll enjoy easy access to the slopes without staying right in the hustle and bustle of the base village. Once your crew is ready to hit the powder, the slopes are less than a hundred yards from your front door – any easy walk even in ski boots. 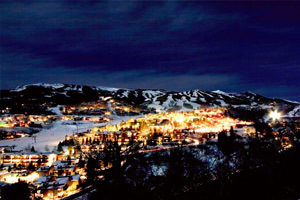 Snowmass is the largest ski area among the four mountains that make up Aspen Snowmass Ski Resort. If you feel like exploring beyond Snowmass Mountain just hop on the ski shuttle to check out one of the other spots – your lift ticket is good at all four mountains! If you’re traveling with little ones it’s a short troll to the Treehouse Kids Adventure Center where there’s daycare for infants and toddlers, as well as ski lessons for tots ages two to four (they’ll be zipping down double-diamonds by six!). Tell your crew to rendezvous at the top of the Elk Camp Gondola for lunch on-mountain and enjoy your meal with stunning views on the patio. If you’re visiting during peak season, be sure to come back to Elk Camp on Friday evening for Ullr Night – a weekly mountaintop party for the whole family celebrating the Norse god of snow with fun stuff like ice skating, night tubing, and firepits for roasting s’mores. Once you’re thoroughly snowed out just coast down Fanny Hill and right up to the resort. Drop your gear at the complimentary ski locker, or leave it with the Incline Shop onsite for an overnight tune-up. After delighting the crew with a hearty home cooked meal prepared in your condo’s fully equipped kitchen, suggest a trip to the outdoor hot tubs. Between the natural landscaping and soothing waterfall, you’ll feel like you’re soaking in an actual hot spring. The individually-decorated studios, two- and three-bedroom condos at the Aspenwood each have a bit of personal style, but are always bright, spacious and tasteful. Enjoy the comforts of home while on vacation with a fully equipped kitchen, cable TV and onsite laundry facilities. Inviting living areas with cushy couches and a gas-burning fireplace make a great space for spending downtime with your crew. There’s no shortage of walkable attractions with a slopeside locale like this. On mornings you don’t feel like cooking stop by Fuel café for a breakfast burrito and coffee on the way to the lifts. For a hearty dinner swing by Big Hoss Grill for classic American fare like chili, wings, and burgers – plus a solid kids’ menu. To explore beyond Snowmass Village just hop on the Aspen shuttle and check out the other three villages. History buffs will love downtown Aspen, where you can admire the historic Victorian houses along Main Street, or visit the Wheeler Stallard Museum to learn about Aspen’s founding fathers. - Front desk is open 8:00 AM-10:00 PM daily during peak season and 8:00 AM-5:00 PM daily during off-season. Guests that are planning to arrive after hours can pick up keys to the unit from a lock-box located in the lobby. Instructions for accessing the lock-box will be forwarded via email prior to arrival. - 24-hour airport shuttle service is available on request. Contact the property in advance to make arrangements. - Rollaway/extra beds are available for USD 25.00 per night. - Cribs (infant beds) are available for USD 25.00 per stay. Located on Brush Creek, to the north and at the base of the Snowmass Ski Area in Pitkin County, Colorado. Snowmass Village was founded as a ranching community before becoming a destination resort. Elk Camp Gondola provides access to cross-country skiing, downhill skiing, mountain biking and hiking.